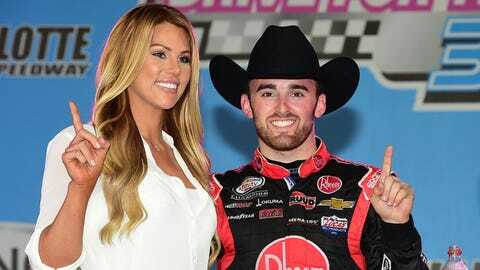 Austin Dillon is the inspiration for his cheerleader girlfriend’s Halloween costume. While Dillon was racing the No. 3 at Talladega Superspeedway, Titans cheerleader Whitney Ward strolled the sidelines of the Tennessee/Atlanta football game in a firesuit of her own. We can only wonder if Dillon plans on returning the favor.